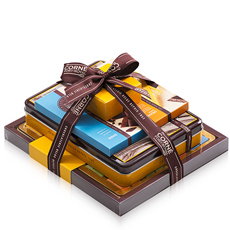 Godiva, Neuhaus, Corné Port-Royal or Leonidas. 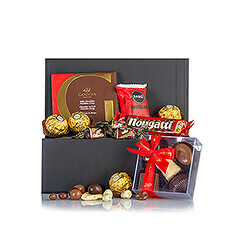 Delight your friends, family and colleagues with one of our tempting chocolate gift baskets with delivery to Germany. 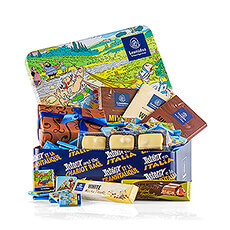 Rich chocolate gifts are one of the most popular treats given for holidays in Europe. 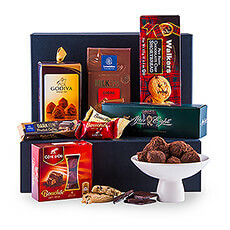 Make it a very Merry Christmas with our treasured Chocoholic Deluxe Gift Box overflowing with luxury Godiva Belgian chocolates, decadent cookies, brownies, Italian chocolates, and more. 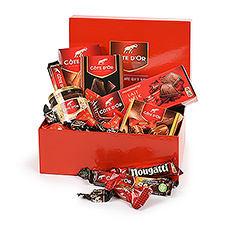 Or thank a colleague for a job well done with our indulgent Côte d'Or chocolate gift hamper. 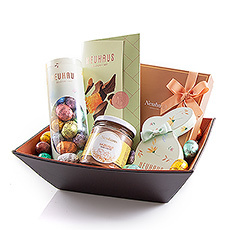 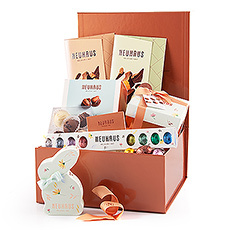 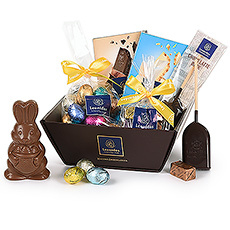 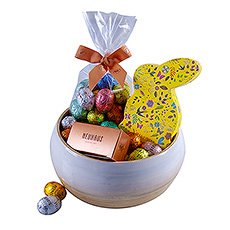 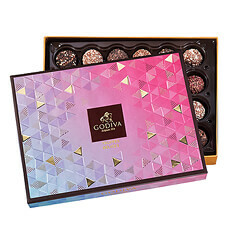 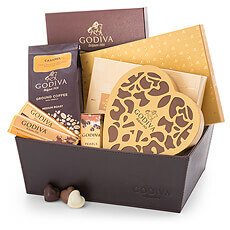 Chocolates and sweets gift baskets are also favorite gift ideas for Valentine's Day, Easter, Mother's Day, Father's Day, business gifts, birthdays, new baby gifts, and other festive occasions. 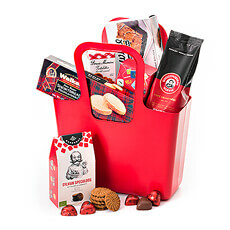 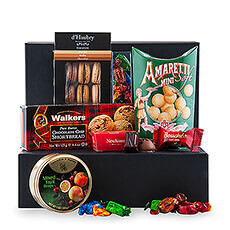 Everyone loves our sweet candy and cookies gift baskets. 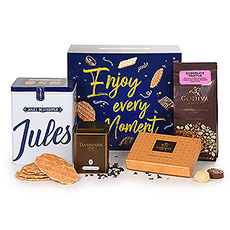 Our extensive collection of Jules Destrooper biscuits gift boxes are perfect office gifts for Christmas and other occasions. 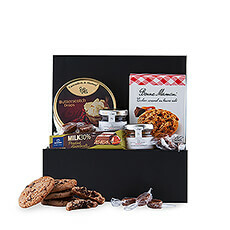 With plenty to share, our cookies gifts are a wonderful way to show your appreciation for a group of colleagues. 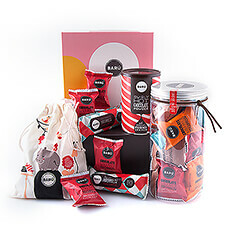 Sweets lovers will rejoice at the lavish gourmet candy, chocolates, cakes, caramels, Barú marshmallows, and other gourmet delights in our candy gift baskets. 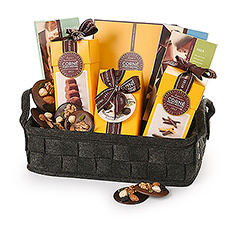 Each of our gift baskets with sweets is hand-packed with care in our local Belgian warehouse. 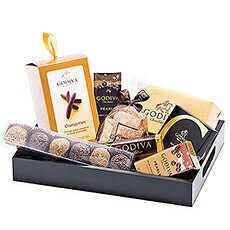 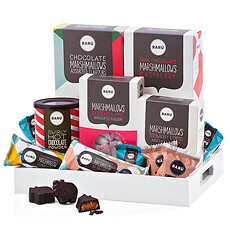 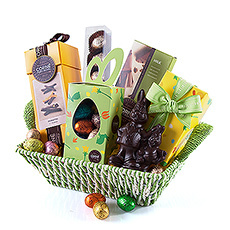 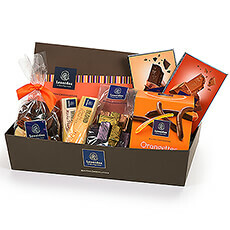 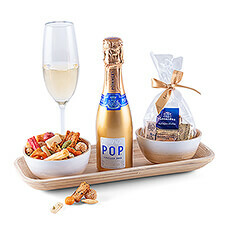 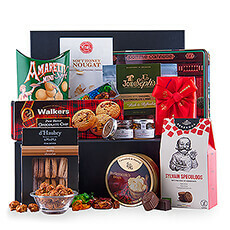 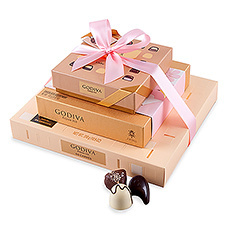 Sending chocolate gift baskets to Germany is easy and fast with our overseas delivery to Berlin, Frankfurt, and Munich.